For years and years psuedo scientists have preached a certain way of working out in the name of keeping weightlifting safe. But more often than not it is just misinformation being spread that could be keeping you from real progress. So in the name of teaching so you can better ask questions related to your physicality, We have compiled a list of the biggest and worst lies of the health industry. Getting that ‘roided’ look without steroids is extremely difficult, if not impossible without actual steroids. Diet is more likely to be the cause of drastic bulking, but if you are just working out and eating at around a 2000 calorie diet your body will gain muscle, but it won’t get bulky. On the converse side, if you do want to get bulked up, lifting big alone won’t do much for you. You have to implement a heavy diet and supplement program and make sure that you are eating just above what your body needs to be sustainable. If you want to lose fat in your stomach you have to work your whole body. It will burn the easiest stuff, which could be the stuff between your legs or in your arms, and then begin working on the tough stuff like visceral fat. Spot reduction is not a thing. The best thing you can do is work on overall fat loss. This can be done especially through HIIT sessions or high intensity resistance weight training. L-Citrulline Malate is the most valuable pump ingredient, and in most pre-workout supplements it is severely underdosed. It is a well rounded supplement that not only improves strength, aerobic exercise, and muscle performance, but helps the body re-activate creatine between sets. Betapure (Betaine Anhydrous) is a perfect mate to L-Citrulline Malate because it promotes significant muscle growth and reduces muscle fatigue between sets. Subjects have reported being able to perform a higher volume bench press set and set new personal records. L-Arginine AKG as an added benefit helps the body recover faster, while bolstering muscle growth and boosting the immune system. This supplement helps repair amino acid chains while you’re working and emphasizes the benefits of all the other ingredients. XPI’s Myonox 2.0 contains all of those ingredients at their recommended, FULL dose and also contains many other supporting ingredients that are imperative for a great workout. Cardio is helpful, for sure, but too much can actually increase the fat in your body without helping promote muscle growth. It is one of the leading causes behind skinny fat people and is the workout that most people diagnosed with being skinny fat claim to use. The best way to burn fat would be to incorporate more high resistance training into your program that includes cardio basics so you can keep building your stamina, but so you can also promote fat burning. The 1980’s are finally over. And have been for almost 30 years. Which means it is about time we ditched some of the most ridiculous parts of their workout programs. Full body programs are the best way to get awesome abs, crunches are the least effective in terms of making abs visible and giving that flat stomach look. A proper and heavy squat will work your core better than 100 crunches, and will help burn fat all over without holding back any muscle gains. We all can remember the gym coach with too short of shorts and a pot belly telling you you’re going to get fat. Well, we all know that is B.S. now, but how much B.S. is it? Studies have shown that 2 rest days a week is optimal for real muscle growth and the promotion of fat burning. Working out every day can exhaust your body and end up killing overall gains. 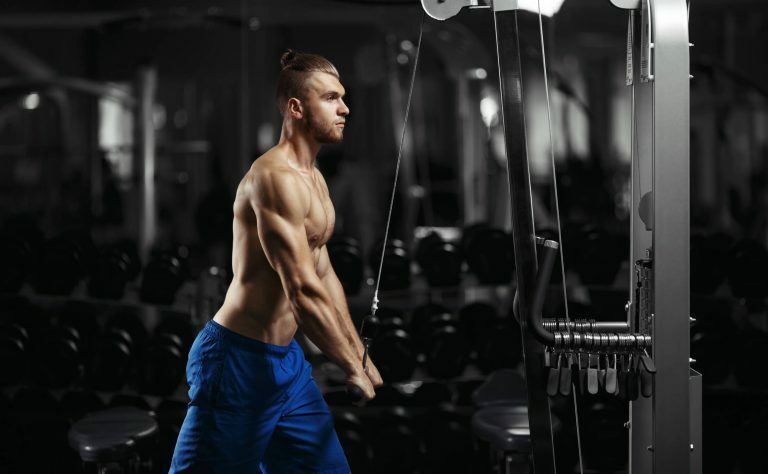 Splitting up your workout is a proven method as well, finding a program that splits up your routine between muscle groups and is 4-5 times a week will show the most improvement. Whoever said that warming up is optional is a jerk, wants to hurt you, and you should just ignore because they don’t know what they’re talking about. Warming up is essential to making sure your body is handling the muscle movements correctly. Not doing this could at the very least jeopardize your lift. If you have ever had a heavy lift day where you couldn’t do as much as normal or you had to quit halfway through a rep that should have been easy there are two culprits. Your muscle could be overworked, and is probably cold. Joint pain is a fairly consistent complaint in any weightlifting community, but studies have shown that the only reasons your joints get messed up when working out is either if you have a genetic predisposition and your joints will wear with anything you do, or you have REALLY crappy form. 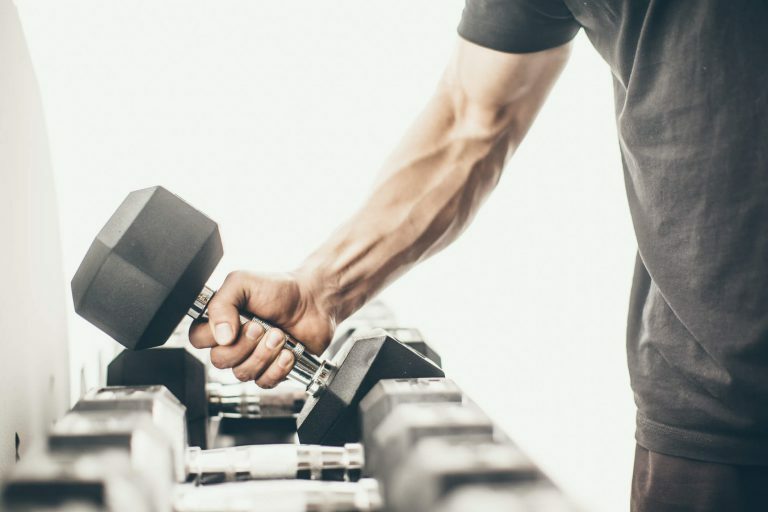 Lifting weights, cardio, and other forms of working out have actually been proven to help issues like arthritis, bursitis, and osteoporosis. Feeling sore after a workout is often times how many people gauge how well the workout went. This mentality is highly problematic for a few reasons. The biggest one is that it promotes wearing your muscles out so bad every session that you may actually hurt yourself rather than build yourself. If you are noticing joint pain this could be an indicator of an issue, but I will cover that in the next point. If you aren’t sore, but you felt some real burn and struggled through the last few reps of each set then you are working more than hard enough. The worst rumor is that if you don’t use muscles they turn to fat. This rumor has been perpetuated for years and years without any scientific evidence. The first thing with this is that your muscle and your fat are two very different things. Muscle is a band or bundle of material whose purpose is to make your bones move. Fat is a form of calorie storage that your body makes when it has more calories than it needs. But what you do notice when you stop working out, especially if you keep eating as much as you were while you were working out, is that your muscle basically disintegrates and your body metabolises the calories you are taking in into fat and stores it away. INDUSTRY LEADING MYONOX IS BACK BABY! Myonox is a leader in the pre-workout industry. The days of mixing powders and choking down pills is over. 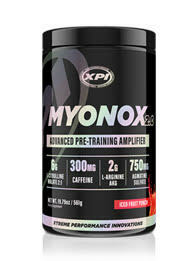 By combining 4 of the best ingredients necessary in all pre-workout supplements XPI’s patented Myonox formula WILL GIVE YOU THE ENERGY AND FOCUS NEEDED TO CATCH THAT REAL PUMP.